Repair corrupted partitions and file systems and recover damaged hard disks quickly and easily with HDD Recovery Pro. Undelete erased files and recover formatted disks with just a few mouse clicks. Lost email? Corrupted mail database? Inaccessible identity? Outlook Express crashes on startup? Mail Recovery gets you out of a trouble quickly and automatically! It detects all Outlook Express identities and associated email accounts, scans and repairs email databases, optionally extracting your email messages as a set of EML files. Fix damaged Outlook Express email databases in a few clicks! 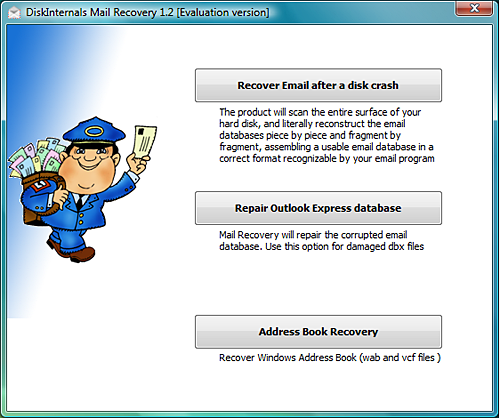 Mail Recovery scans the damaged Outlook Express databases and repairs DBX files completely automatically. By accessing the DBX files in low level, Mail Recovery bypasses Outlook Express mechanisms to ensure smooth operation and complete repair. Even if Outlook Express fails to recognize its own mail database, Mail Recovery can still fix the corrupted files and recover your mail! Mail Recovery allows recovering email messages from corrupted hard disks. By scanning the disk in low level, Mail Recovery locates Outlook Express databases to repair, allowing you to get your email back even if your hard drive is half-dead. Outlook Express fails to launch? That happens often if your email database gets damaged or corrupted. It also happens when your email database exceeds the 4GB size barrier. Outlook Express cannot cope with email databases that are damaged or just plain too big. 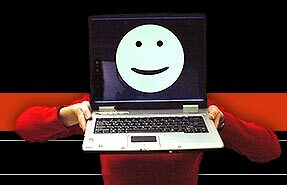 Mail Recovery is well aware of these issues, and fixes them quickly and efficiently. Just specify a user identity to repair, and Mail Recovery will locate its DBX files and fix their content to restore problem-free operation of Outlook Express. The free version of Mail Recovery displays a complete preview of the recoverable messages, allowing you to make sure the recovery is possible. With Mail Recovery, you are not limited to just one user identity or a single email account. Mail Recovery detects all identities and all email accounts automatically, allowing you to choose any one or all of them to repair.